Many of us are facing more than one stressful scenario in our personal lives or in the lives of our children. 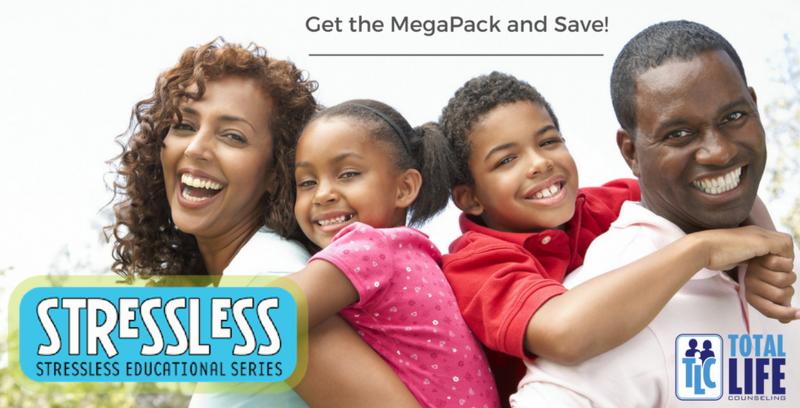 Commit to being truly having no stress and invest in our mega pack! All of these video programs are related and together give a comprehensive program for Defiant and ADHD Students. Why The MegaPack Will Change Your Life! 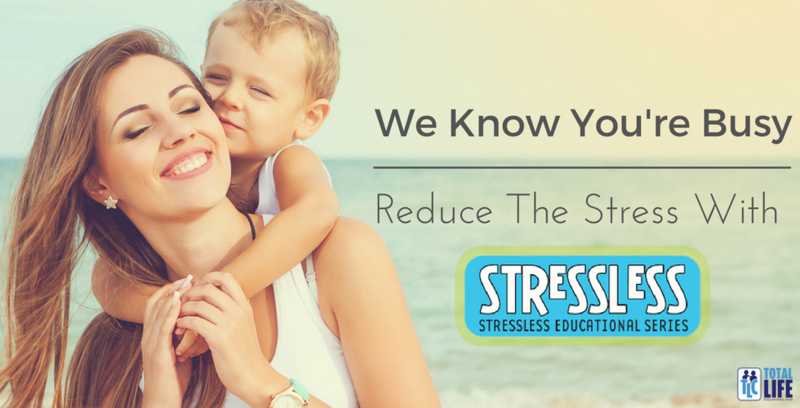 With all the stress you face, we want to help. The StressLess Mega Pack is a complete set of materials to make your life easier. All the material is interrelated. 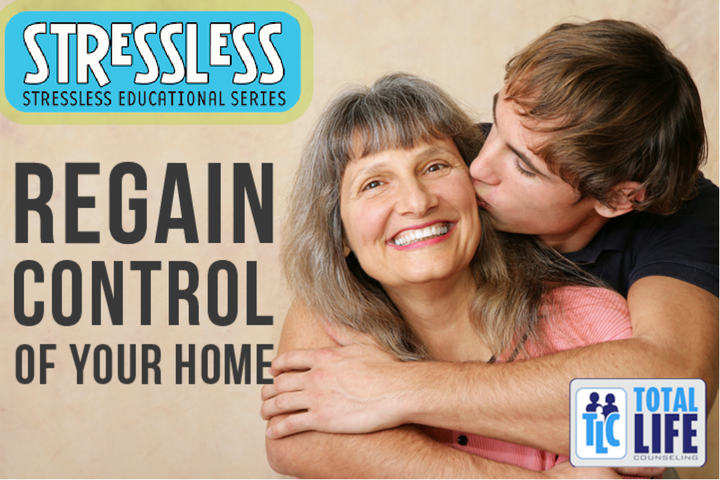 Each StressLess Series builds on the next, teaching you more important information, and giving you steps to bring peace to your home. Starting with your ADHD child, I’ll show you how to help your child focus. But, did you know ADHD is often linked to ODD? 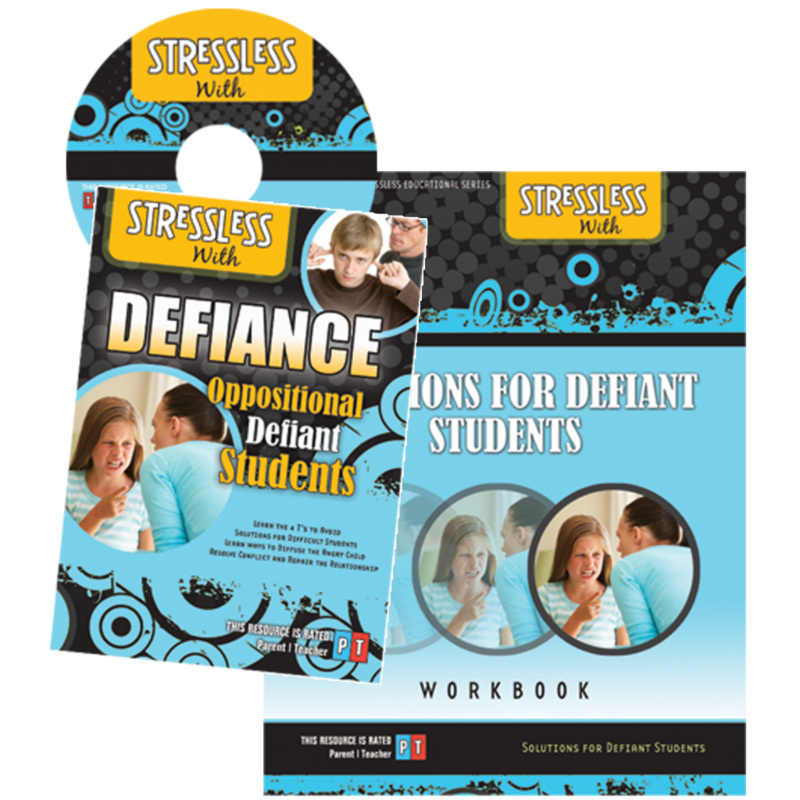 That’s why the next in the set is StressLess with Oppositional Defiance! 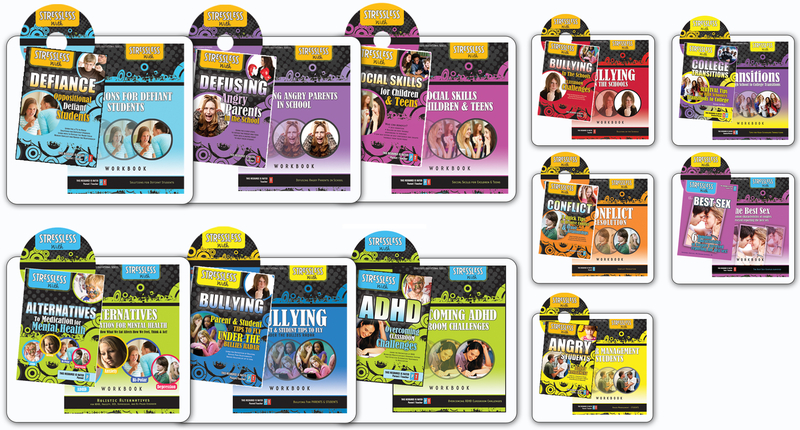 Whether it’s dealing with bullies at school, overcoming the challenges of ADHD, or even repairing relationships, it’s all included in the MegaPack. There is a 30 Day Money Back Guarantee. PLUS you SAVE $70 by purchasing the MegaPack! Rather than purchasing one or two at a time, you can save money by purchasing the full set. Every part of the StressLess series is one more step in the journey. When you see how each series is another piece in the puzzle, you will be amazed at the changes happening in your life and the life of your family. Get the MegaPack today, and save! So glad you duked it out with us. You always gave way above and beyond what I think most in your field would have. And I don’t think anyone else could have reached our teenage son as you did. Thanks from the bottom of my heart. We are so grateful for your help. We were in a bad place before we saw you and I am really amazed at the difference. Your information is valuable for any parent, grandparent, teacher, counselor, etc. I feel as if I have found a gold mine of information. I am a long time high school teacher working on a high school counseling credential in order to work in a different capacity at the school site.” “I thoroughly enjoyed your explanation of the emergence of “the adolescent” in history. is an author, international communicator, coach, and nationally certified and licensed counselor. He specializes in Oppositional Defiance & Attention Deficit Disorder. He is available for a Consultation at your school or youth group. Call us at 407-248-0030 please include your name, company/organization, date and location. We will follow up with you directly about scheduling to add greater value to your audience. Thanks! I know you’ll be so impacted by my StressLess with ODD series that I’m giving you the first 3 videos in the series complimentary.